Looking to build a new home in Aloha? Then make sure you check us out over at David Green Construction. Our full-service contractors will handle every part of building your custom home from start to finish. We do more than simply build the frame of the house. Along with our architects and builders, we also have a team of plumbers, electricians, and general contractors available to make sure we can handle anything that comes up. We can design your home together! We know that you probably have a specific design in mind and we’ll do our best to stay true to it. Sometimes our customers know exactly what they want and researched it enough to know that their choices are valid. Other times, they might have a general idea or have some ideas that might cost more than they thought. We work with you on the design to make sure everything looks how you like, and can offer alternatives if we think they might be a better fit, but we won’t do any work without your approval. Using our advanced 3D home viewing software, we’re able to simulate the design before we even start the building process. This allows you to preview your design and decide if you want to make any home additions before finalizing your decision. With our software, you’ll know exactly what your home will look like. It’s the next best thing to touring your custom house in person! Thinking of remodeling your design? We can help you change up your existing design or remodel your current home for you! 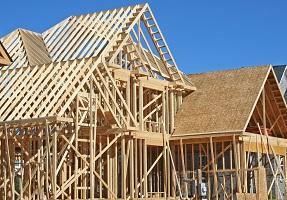 Why choose us for new construction homes? With all of the different custom home builders around the Aloha area, how do you know which one is best? 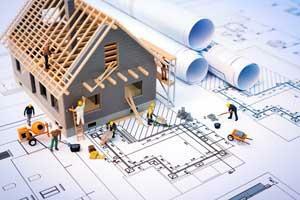 There are several reasons why you should pick David Green Construction to build your house for you! David Green has earned the title of Master Builder, proving that he is a skilled craftsman who has mastered the trade. We’ve never had a claim filed with the Builder’s Board, because we always work with you throughout the process. We have more than 40 years of experience building custom homes, remodeling, and doing add-ons for houses. We’re ready to work with you to build the home you’ve always dreamed of!